The other day my friend and I got into a conversation about TV shows (as a pop culture junkie, this is something I am often wont to do). 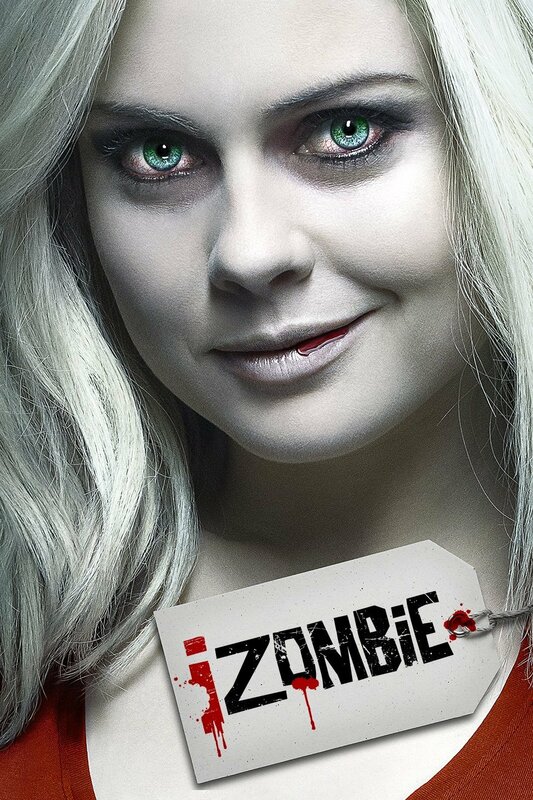 After watching my favorite episode of Buffy (“Tabula Rasa,” duh), we scrolled through Netflix until we landed on the new(ish) CW show iZombie. As a fan of Veronica Mars/Party Down creator Rob Thomas, I was curious about his latest show, which has also received positive reviews from my sister. What I did not expect, however, was that my male friend would launch into a lecture about how progressive the show was because of its choice of a lead character. First, let’s start with an image of the protagonist. Pretty hot for a dead girl (or a live one, for that matter). My friend made the point that because the character is a “goth girl,” she is different from your typical pretty girl TV star. Take a moment to look again at the above picture, and maybe you’ll see the loss I was at trying to discuss this with my friend. This actor is an objectively beautiful woman, especially by American standards: blonde, green eyes, good figure. Seeing the disconnect in the conversation, my friend started an episode so he could prove his point. What I saw was a beautiful woman wearing extreme eye makeup. Talking about this later with another (female) friend, she pointed out that this was an instance of She’s All That syndrome: the notion that your storytelling is progressive because you put an “ugly girl” in the lead role, when really this supposed ugly girl is a beautiful woman wearing glasses and sloppy clothes, or in the case of iZombie, a beautiful woman made up to look alternative. Unwilling to step down from this argument, my friend continued to push that this protagonist is different because she doesn’t dress and style herself like a typical CW character. I pointed out that she is dead, so the only time a woman gets to not present as an ultra feminine babe, according to the CW, is when she is a zombie. Doesn’t that reinforce the regressive roles for women that my friend claims this show is breaking through? The conversation found no resolution because neither of us was willing to back down, and I was left feeling sad about the state of storytelling when a show featuring a beautiful woman with some non-traditional makeup on (again because she is a zombie) is supposed to be groundbreaking. No. I refuse to accept that. Why can’t the protagonist be a woman of color? Or queer? Or bigger than a size two? My friend argued that I should accept this small step because progress isn’t made with big steps but a bunch of small steps over time. I’m tired of that response. Straight white cisgender men having been using that excuse for far too long because they don’t want to lose their power. If they give everyone else just a little, we’re supposed to feel satiated by these crumbs of progress. Our modes of storytelling, from novels to popular TV shows, can and should do better to represent diversity. I struggled with this problem myself when I looked at a draft of my forthcoming short story collection, Siblings, and saw its overwhelming whiteness. Writing about race or writing as another race as a white person is an extremely sensitive subject. But I can try. Just because something is difficult doesn’t mean we shouldn’t do it. Beyond me, what change really needs to occur is more diverse authors being published and better representation behind TV and movie cameras. People of color, queer people, differently abled people, and others won’t be fully represented in our storytelling unless they are given the opportunity to tell their stories. This is a conversation we can’t back down from and an issue that should be addressed. We live in a diverse country, and it’s time our stories reflected that.